Patrons pack the watering holes along the street as loud music blares throughout the night — this is a typical scene in Changkat Bukit Bintang. Located in the heart of the Bukit Bintang area, Changkat Bukit Bintang is lined with 2-storey pre-war shophouses, which have been converted into pubs and boutique restaurants. Dubbed Kuala Lumpur’s Piccadilly Circus, the street is considered as one of the most established, long-lasting nightlife districts in the city. It attracts locals, tourists and expatriates. Surrounded by Jalan Alor, Bintang Walk, Jalan Nagasari and Jalan Mesui, Changkat Bukit Bintang offers some of the city’s hottest hangouts such as Cuban bar Havana Bar & Grill and Irish pub Healy Mac’s. There is also backpacker accommodation such as Serenity Hostels. 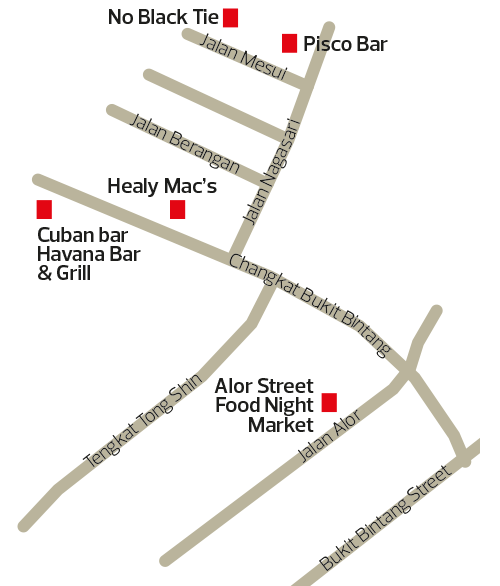 No Black Tie, one of KL’s leading jazz bars, is located in nearby Jalan Mesui. Established in 1998, No Black Tie has seen many of Malaysia’s top singers and musicians go on its stage over the years. From the creators of eatery Alexis, there’s Isabel, one of the newest restaurants in the area. 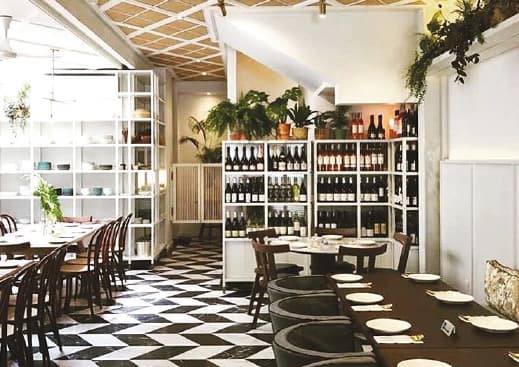 This “Insta-worthy” restaurant, featuring a marble bar top and black-and-white chevron floor, is a crowd-puller. The outlook for the Changkat Bukit Bintang area is promising as more activity is expected to come its way, say consultants. As things are — the lights and sounds of the night are getting more intense and the patrons are packing the establishments along the street well into the small hours — this area is likely to remain a nightlife haven for a long time to come.